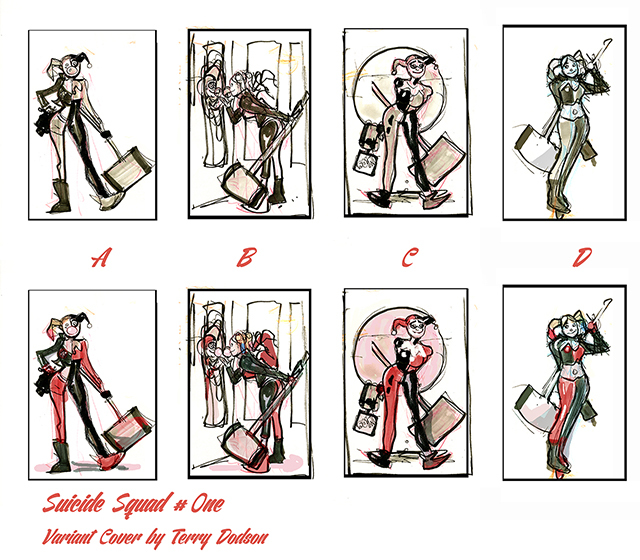 My initial sketches for the cover submitted to DC Comics and Dynamic Forces. 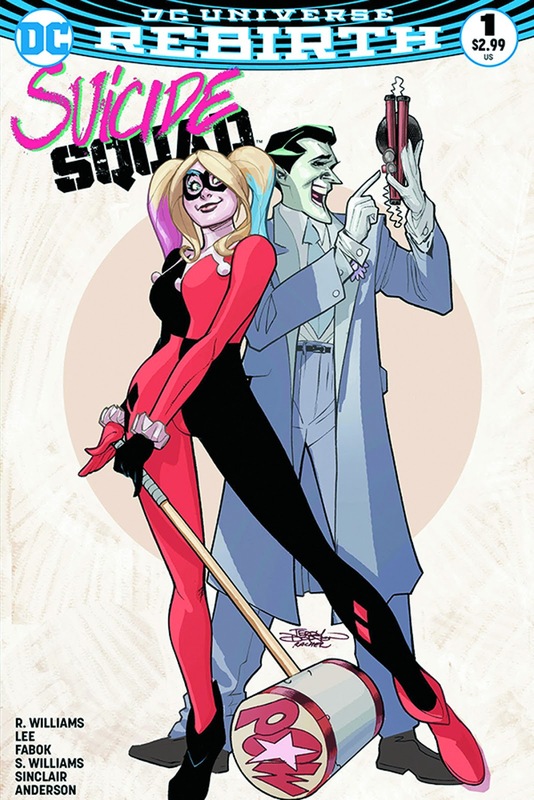 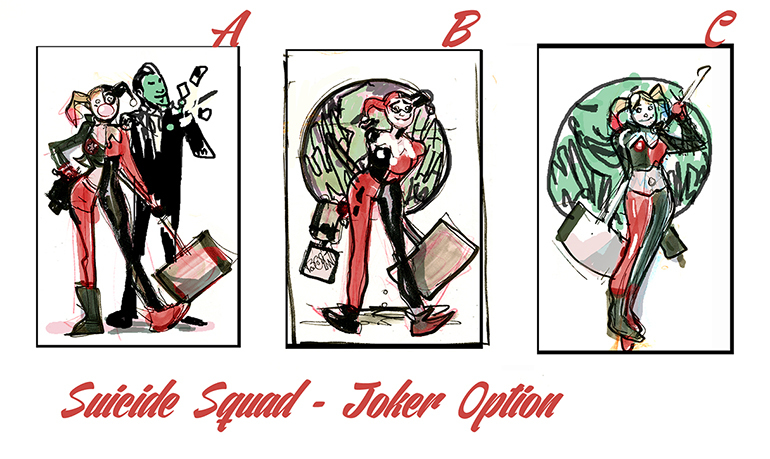 I chose to do this assignment as another chance to draw Harley - so don't blame anyone but me if you wanted to see the rest of the Suicide Squad! The revised covers sketches with Joker added per Dynamites request! 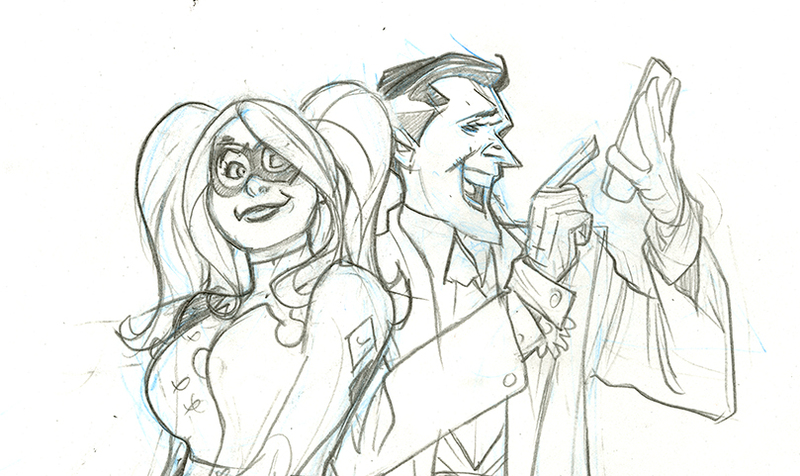 Detail of my pencils, note cell phone! 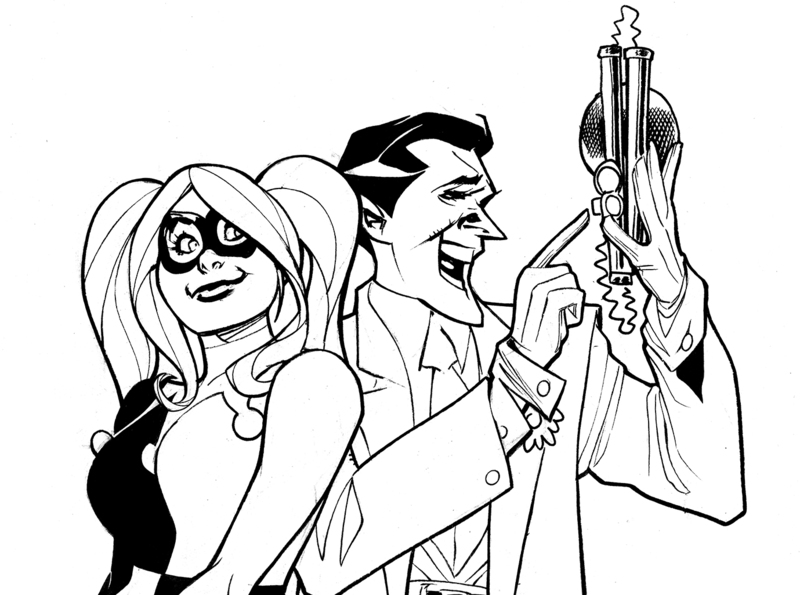 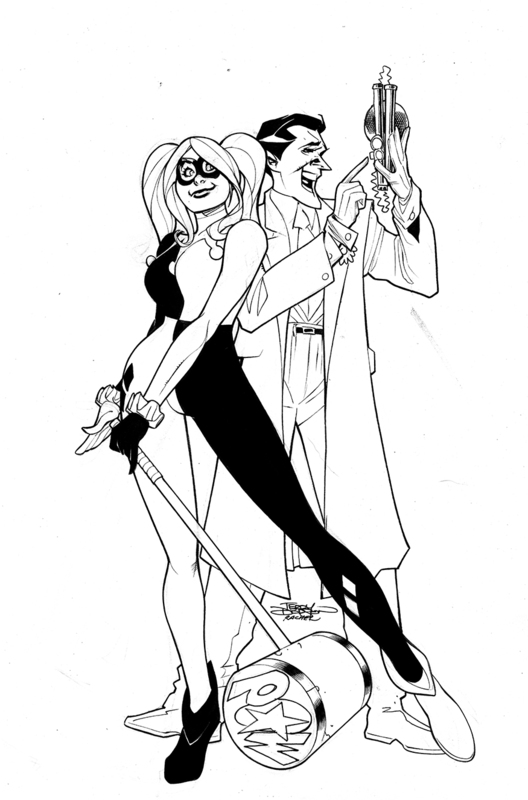 Details of Rachel's ink - and you'll notice Joker holding a bomb - that was a request by Dynamic Forces - the cell phone joke was too subtle. I like your slightly more cartoony take on the characters. They seem to take to it well!